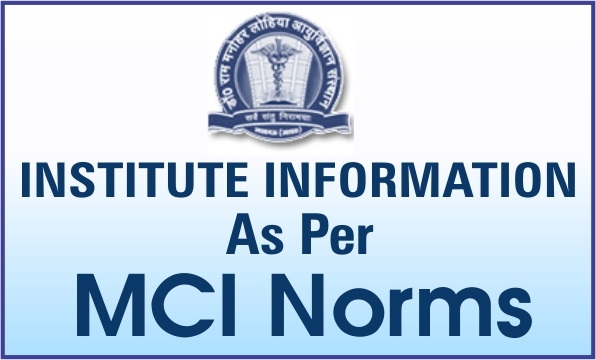 The Dr. Ram Manohar Lohia Institute of Medical Sciences (Dr. RMLIMS), Lucknow is a super specialty hospital and one of the reputed and leading teaching Institutes established by the Government of Uttar Pradesh. The Chairman of the Institute is Mr. Anup Chandra Pandey, Chief Secretary, Govt. of Uttar Pradesh. 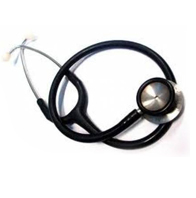 Dr.RMLIMS is situated in Vibhuti Khand in Gomti Nagar locality of Lucknow. Besides super specialty treatment,the institute provides DM, MCh, MD,MS, and Ph.D. Degrees. It would provide holistic medical care including general care in various general,medical / surgical specialities, and in selected super specialities which are not available or grossly inadequate in this region. The medical Institute, with public service hospital will cater both to the poor patients who are unable to pay and to the population that has the capacity to pay on user charges at 'no profit no loss' basis. The institute is registered under the society registration act 21,1860 and the registration No. is 1982 2006 - 07 dated 4th Nov 2006. It is stablished as an autonomous,independent satellite center under the act of state Assembly similar to SGPGIMS. On 3rd June 2006, Govt declared the Institute to be an independent Society. The regular OPD services started on 01.10.2010. Out of 18 department 16 department became functional in which at least one faculty member is working in each department. Dr. Ram Manohar Lohia Institute of Medical Sciences, Lucknow is an autonomous teaching superspeciality institute funded by the Government of Uttar Pradesh. The Institute is affiliated to King George's Medical University(erstwhile Chhatrapati Shahuji Maharaj Medical University(CSMMU)), Lucknow, India. Vibhuti Khand, Gomti Nagar Lucknow.